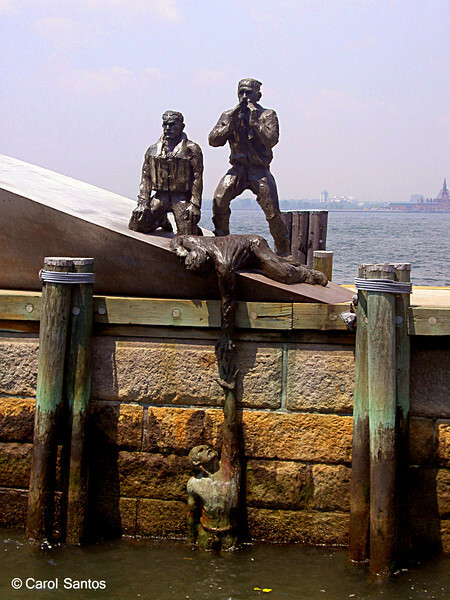 American Merchant Mariners Memorial, Pier A at Battery Park. The 1991 memorial is dedicated to all of the American merchant marines from the Revolutionary war to the present. The names of 6700 merchant seamen lost at sea in WWI and WWII are inscribed in the boat's interior.